The Winegard FlatWave Amped is one of a series of small, lightweight indoor antennas that Winegard offers. The company has been in the antenna business since the 1950s and knows what it’s doing—something I confirmed when I tested this antenna. In addition to the Amped version, there’s an unamplified version and two even smaller versions called the Mini and the Micro. TechHive tests antennas by performing a number of scans to see how many channels are received. A pattern emerges over the course of the scans and we get to see how well an antenna pulls in the various strong and weak channels on air in the San Francisco Bay Area and Sacramento regions. The FlatWave Amped did well, pulling in eight digital TV broadcast channels carrying a total of 44 TV stations. That ranks it above our previous indoor antenna pick, the Clearstream Flex, which only managed six broadcast channels at acceptable reception levels. 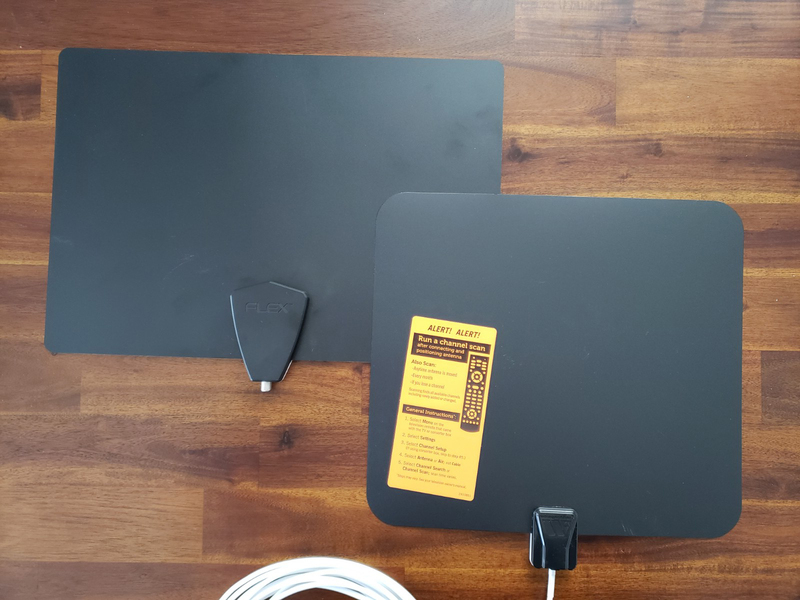 Additionally, channels received by both antennas were received at a slightly higher signal level on the Winegard FlatWave than the Clearstream Flex, leading us to rank the Winegard antenna our number-one choice at the time of this writing. 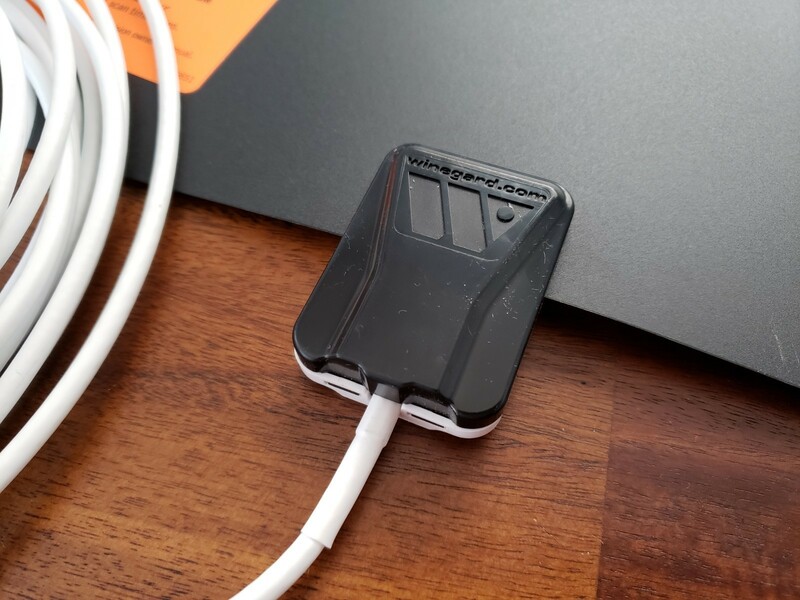 What’s even better for consumers is that the Winegard FlatWave Amped is a little smaller, so it will take up less space on your wall or in your window. The antenna has a built-in amplifier, so that certainly helps reception. 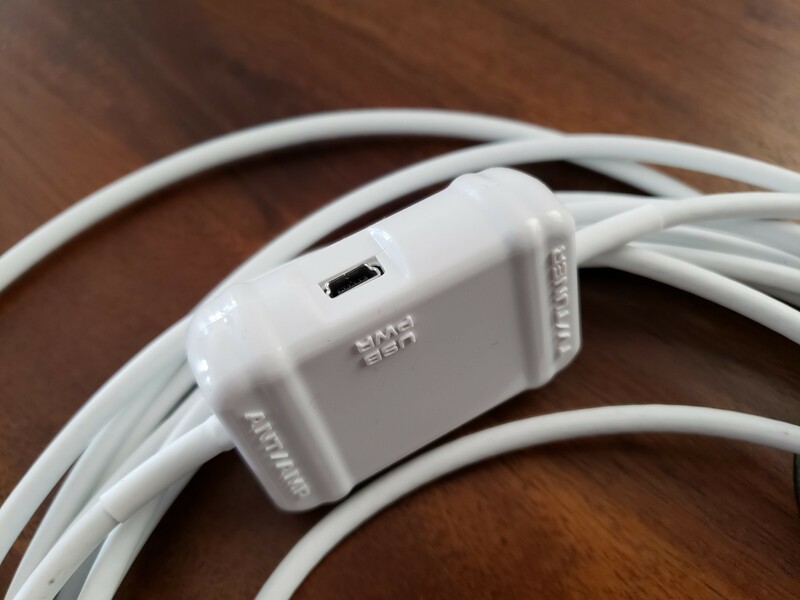 It’s powered via a supplied USB power adapter, or you can run it from a USB socket on your TV, if it has them. TechHive tested the amplified version, the FL-5500A, but there is a non-amplified version that is cheaper, the FL-5500. In general, this latter model should only be considered if you’re sure you can receive very strong local signals. The FL-4000 Mini and FL-2000 Micro are smaller still, but your reception may be limited unless you have very strong signals. For anyone in strong to medium reception areas, go with the amplified version. For medium to weaker signals, check out our picks for the best attic or roof-mount antennas, as they’ll be much more successful. Unsure what you can receive? We have a step-by-step guide to figuring that out. The FlatWave Amped is designed to be mounted in a window or on the wall and that should be easy thanks to its lightweight and size. It measures just 12 inches by 13 inches and weighs 0.6 pounds. Winegard supplies 3M Command strips for mounting. Put it somewhere as high as possible on the side of your house facing your local TV broadcast transmitters. 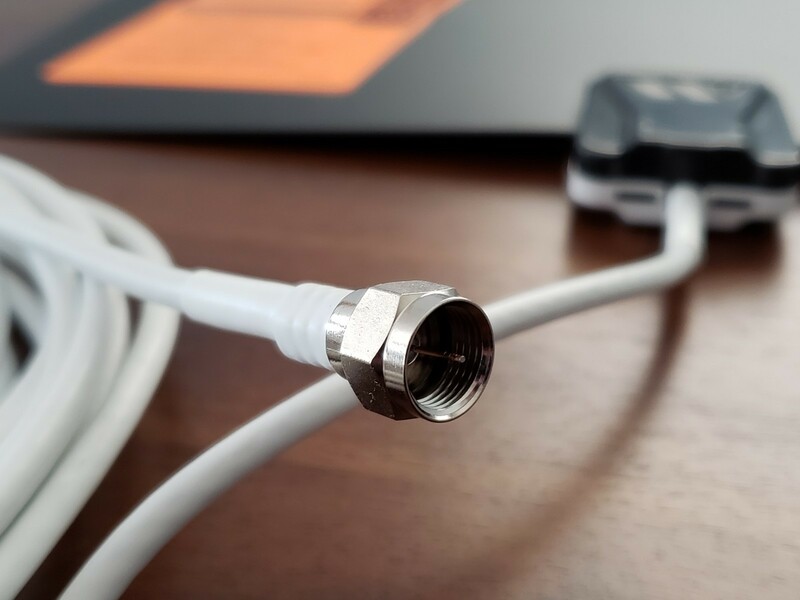 The FlatWave Amped comes with 15 feet of coaxial cable attached, which means that if you don’t need such a long cable run, you’ll need to hide the extra cable somewhere. Many other antennas come with a separate cable, which can be switched out with a longer or shorter one as needed. I’m not a great fan of the attached cable for the above reason, but it doesn’t affect its main job of pulling TV stations from the air. If anything, it might help reception because noise can get into TV signals every time a coaxial cable is joined. A thoughtful touch was a sticker on the antenna reminding me to run a rescan of my TV once it was all connected. I can only imagine the number of customer-support calls they get from people who forget that step. The Winegard FlatWave Amped antenna is a great choice for people in or near cities who are restricted from installing an outdoor antenna. The antenna is lightweight, sturdy enough, and easy to install. Reception was good and it pulled in more channels than competitors in our tests. Winegard’s FlatWave Amped delivers great performance for an indoor antenna. It’s small, lightweight, and should work well in areas that enjoy strong local TV reception.